The latest and the most innovative trend to hit the digital internet marketers’ interests is Pinterest. Pinterest being the latest craze with all the optimizers who want to not only have interactive content on the website but also glossy images and pictures supporting the image of the business – it shot to the optimizers hot list sooner than imagination. Pinterest is an online pin up board where you can pin up all your photos and pictures and share them with your friends and family – something very similar to social bookmarking where in only images are bookmarked. 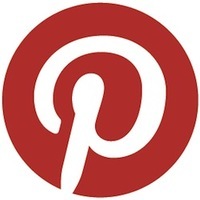 Pinterest allows theme based photo sharing based on events, interests and hobbies. 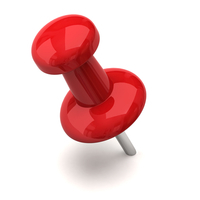 Users can browse through pin boards and re-pin images to their own boards or like and share photos as per how they like. The added advantage is that Pinterest allows business corporations to create their own official pages. Pinterest allows you to create an account on their website. There will be different storyboards that you can create based on the kind of the theme that you would like to follow. For businesses more comprehensive story boards can be designed and designated to match along with the theme of the business website. Business profiles have this advantage of creating and sharing images and videos of the business they are into – any futuristic announcement can be made or images and videos of the events that happened in the business location can be shared in separated theme based story boards and keep business memories intact. Any business related stories that need to be shared or posts that need to be brought to the discussion or eyes of the viewers can be done by adding them on to pin board and sharing them over other multiple social media platforms so that your customers and viewers always updated with what is the latest going on in the upfront of your business. Pinterest has recently developed its foothold in the market and is a website explicitly for video and image sharing. Mostly with search engines being very strict about images, here we have a social platform that supports explicitly the usage of images and videos for better business promotion and visibility on the web. There are certain industrial sectors that need more of images and less of content based marketing. 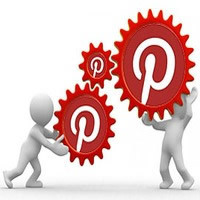 For them, Pinterest holds a very good industrial value as the images of their products or services is something what the probable customers are going to see and gauge. The utility of images in this case acts like a boon and the customers can also share the business pictures with others and do indirect marketing. Pinterest has been designed in a user friendly way so that even businesses can take advantage of it and share the different phases of the business and use them as a step to grow!